The Mitre 10 brand is part of New Zealand’s DIY DNA. 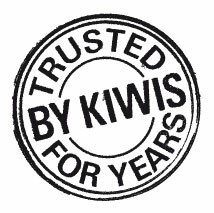 Many New Zealanders have grown up with Mitre 10 and trust the brand so much so that it has been awarded the most trusted brand in New Zealand in home improvement retailing on five occasions. That trust comes from knowing we are a locally owned co-operative that plays a valuable role in the communities in which we operate.